Dazzling battle strategies, a unique array of characters and an intriguing storyline will keep the pages turning, readers on their toes and up way past their bedtime. Arrogant. Scornful. Full of pride. Darnuir, Prince of Dragons, cares nothing for the damage he's doing to the faltering alliance against the Shadow. He thinks himself invincible - right up till a mortal wound forces him to undergo a dangerous rebirthing spell, leaving him a helpless babe in human hands. Twenty years pass and demonic forces are poised to sweep across the land. With the alliance between humanity, dragons, and fairies fracturing, Darnuir will have to uncover the secrets of his past, seek redemption for his sins, and rally the disparate races if they are to survive. Only Darnuir can do this. 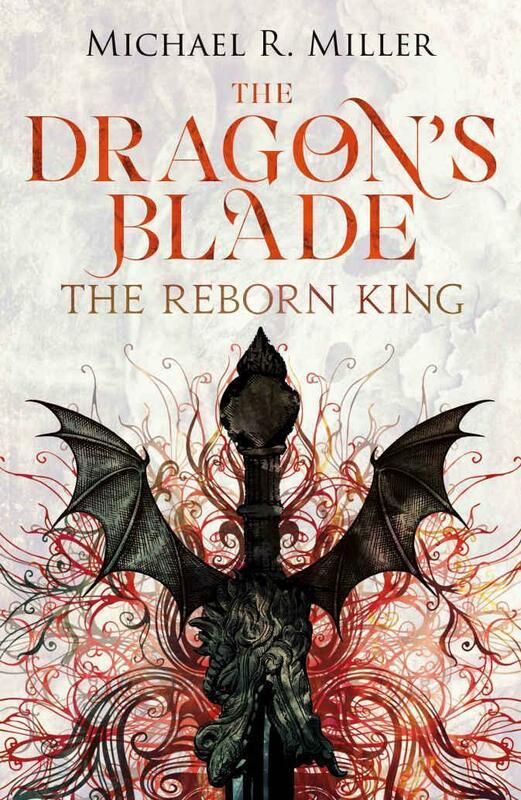 For he's the last member of the royal bloodline and only he can wield the Dragon's Blade. His second chance is the world's last hope. Miller’s debut and first in a brand new epic fantasy trilogy is massive, an impressive alien landscape complete with a topography to fit this remarkable tale plus the flora and fauna to fill the one-of-a-kind domain using some really impressive world building blocks. Its tight- plotted and fast paced and will keep the audience’s minds engaged, with an extraordinarily uncommon stable of characters including demons, humans, fairies, dragons and trolls. The most impressive character from this vast array of players is the main protagonist Darnuir his development is truly amazing and watching his rebirth and rehabilitation to fulfill his role of ruler is memorable. The fact that these dragons are not shape shifters but are human-like only faster and stronger is another unique aspect of the story. The first half of the novel is devoted to setting the many stages and the second half to Darnuir’s rebirth and the beautifully bloody battles and as expected with every first in an epic fantasy trilogy with much ground to cover it does fall prey to an occasional (but very few) plot lag. The most impressive of the author’s de-riddling angles is the Hall of Memories where Darnuir gets his memories restored, and as an added benefit readers get some very important blanks filled in, plus by book’s end some shocking revelations will have readers gasping, eager for the next installment and more questions answered. Be prepared to be wowed by dazzling battle strategies, unique characters and an intriguing storyline that will keep the pages turning, readers on their toes and up way past their bedtime. Fans of the hard fantasy of Mark Lawrence and George R.R. Martin will devour this novel. I am an editorial book reviewer actively working for LibraryJournal & RT Book Reviews and also contribute early reviews to multiple publishers and authors. I am a library advocate volunteering in branch and formerly serving on the Board of Directors of my library district. I run The Reading Frenzy book blog and The General Fiction Expats Goodreads group. My Favorite Genres are Hard Fantasy, Romance and Women’s Fiction. IN THE MIDDLE of a curved, golden-stoned room, holding a strung bow and taking careful aim, stood a dragon. The ringed target was the smallest he could find in the armoury. His visibility was poor in the dark room. Only one small gap in the heavy shades let in a shard of light from the dazzling day. His chestnut eyes focused intensely on the target, glistening gently in the darkness, for a dragon could admit more light into their eyes than a human. To look at him would be to see a human. One with thick brown hair, hanging loosely off his handsome face, slightly obscuring his sharp jaw and aquiline nose. Golden-plated armour encased his lean, muscular frame. Yet his strength was far greater than his human appearance suggested. His name was Darnuir, Prince of Dragons, and, despite his sixty years, he was the only heir to the throne. Brackendon looked on with a patient curiosity. Tall and slim, the young wizard wore iridescent robes of sapphire blue. He held a mighty wooden staff, which stood just taller than he did. It was silver in colour and the wood had been expertly smoothed. His own eyes sparkled silver with the magic that had been gifted to him. Unlike Darnuir, his hair was short and already had a grey tinge to it, despite his youth, as using magic slowly drained a human’s body of its physical appearance. Brackendon had stopped counting the grey hairs long ago. He was impressed by the intensity with which Darnuir both prepared and took his shots. The Prince’s actions were altogether non-human. They were too quick. Darnuir had the sort of rapidity that would snap the muscle and sinew of a human man. This was of course to be expected; yet it had always caused Brackendon a slight unease to see dragons in action. He had decided years past that this discomfort stemmed from fear. Not the fear of imminent danger, he had decided, but the fear of knowing that you are powerless against this thing. Like being around a predator, not knowing if it will strike. If it will kill. This fear was tempered by his own power, but he had always wondered how ordinary humans must feel when surrounded by dragons. Very afraid, he had concluded. Reasoning that this fear must cause most of the tension between the two races. Darnuir released his arrow and sent it slicing through the air to bury itself in the centre of the target. “It is a game to him, I think. No war lasts for decades unless your enemy is enjoying the carnage and your own people are too weak to repel their attackers.” He fired another shot that cut deep into the centre of the adjacent target. Darnuir dropped his bow, unsheathed his sword, and began running a practiced finger along the metal of the blade. Brackendon noticed that Darnuir did this when he sought comfort. The Prince had always preferred his sword to his bow. Darnuir was talented enough with his ranged weapon, but Brackendon could frankly think of no one alive who could equal Darnuir with the sword. Well, perhaps his father, but then he had the Dragon’s Blade. Even so, the few spars he had witnessed between the two had always been close. “Lost in thought again?” Darnuir asked him impatiently, sword in hand, and clearly anticipating an attack. “Hmmm?” Brackendon emerged from his pondering. “You think too much,” Darnuir said. And you don’t think enough, Darnuir. Brackendon knew better than to say such things aloud. Yet he couldn’t stifle a chuckle. “If you’re quite finished telling me of our doom, I assume you would like to continue your training?” He pointed his staff at a barrel full of swords. As the swords flew into the air towards Darnuir, several broke off to veer to his left and right. Darnuir twisted smoothly on the spot and raised his own sword to clash against three of the enchanted ones. The Prince ducked and lashed out as he rose, cleaving two of the swords in half and they clattered to the ground. Brackendon sent in another six swords as backup, still chuckling. Brackendon moved his fingers rapidly to control the weapons, each finger dancing in circles, and jabbing whenever he saw a chance to strike. Darnuir parried and destroyed another one, sending the remains flying across the room. He moved with unfathomable agility as he engaged his invisible assailants and, before too long, he had beaten most of them off. Brackendon had never considered Darnuir’s movements to be graceful or elegant; it was no deadly dance he was performing. His actions were brutal and powerful, yet deliberate and measured. ‘The strength of a boar mixed with the cunning of a snake’; Brackendon had read that somewhere once during his studies. True as the description was, it was another matter entirely to witness it. “You speak as if the King of Humans and the Queen of Fairies are not above you?” Darnuir asked. Brackendon was taken aback. A short temper was not an unusual trait of dragons, yet lately, Darnuir had grown more quarrelsome. No doubt, the recent failure of the Three Races to counter Rectar, their great enemy, was to blame. Brackendon attempted some consolidation. “If that is his decision then you must—” Brackendon began again. “Must what? I must what, Brackendon?” spat Darnuir, tearing from the room in his fury. Brackendon gave chase immediately, drawing on a little magic to give him the necessary speed to catch Darnuir, who was fast by nature. Using magic to enhance movement like this was cheaply done and carried little risk of an overdose. He felt the power flow through him as it boosted his body. Up to his shoulder and down his arm to his staff. I must still be careful. It would not do if I poisoned myself before the demons arrived. He found Darnuir not far down the corridor outside the training room, leaning against one of the large, rectangular windows cut out along the wall. Many of these windows lined each curving corridor of the Royal Tower and offered magnificent views of the city. From their vantage point, all of the northern and western segments of Aurisha could be seen. The windows were in small bays that were just big enough for a fully-grown man to stand in; however, ancient spells prevented anyone from falling out and the elements getting in. Without them, Darnuir would have fallen out and down into the sprawl below, for it looked as though he was leaning on air alone. Brackendon approached the Prince, feeling a little apprehensive. “You must respect his decision,” he said simply. Brackendon was lost for words. He often forgot how old Darnuir was. Dragons lived well beyond even the healthiest of humans. Before Brackendon could marshal his thoughts, a tall figure appeared at the end of the corridor. It was none other than the King himself. Although broad and powerful like most dragons, Draconess bore little resemblance to his son, aside from stature. His hair fell at the same length, yet it was lighter, almost golden in places. His jaw was less broad and defined, and his eyes glistened a pale blue. Yet signs of his burden were evident. His face, while softer and kinder than Darnuir’s, was strained with a deep weariness. His hair was unkempt and tatty, his eyes were dark and sunken, and his shoulders drooped perceptibly, as if his responsibility had physically manifested itself upon him. “Darnuir,” Draconess said softly as he made his way towards his son. He stopped just short of Darnuir and seemed to toy with the idea of embracing him, before fumbling with his hands. The Prince’s expression remained frosty. “The wind has been poor, I doubt the ships will arrive on time,” Draconess said. Brackendon sensed that to remain would be improper and perhaps unwise, given the potential row that might ensue. Politely, he addressed the King.